Doordarshan and AIR are being hollowed out and made to pay private firms to do their work. Indeed, the facade of an autonomous Prasar Bharati, independent of the Information and Broadcasting Ministry, is coming out in the open. Its ripples would be heard in Parliament in the coming days. The ongoing tussle between the Prasar Bharati Chairman, A. Surya Prakash and the I&B ministry, headed by Smriti Irani is clearly showing how the Prasar Bharati autonomy, envisaged by the Prasar Bharati Act is nothing but a mirage. Interestingly, in the current scenario, it is the Prasar Bharati boss versus I&B minister Smt. Smriti Irani, both with diverse influences at the top in the BJP and RSS. Of course, such attempts have been made earlier too. But today, the way media institutions are being handled by the government, suggest something sinister almost amounting to undeclared emergency. The noose is tightening, as the stage gets set for 2019 general elections. Today , Prasar Bharati and its two arms, Doordarshan and All India Radio seem to be facing more and more pressure to kill the limited autonomy that is there and that is fortified by the Prasar Bharati Act. The clue to the emerging scenario has been provided by the recent spat between the I&B ministry and the Prasar Bharati. Of course pressures were operating, but they were kept under wraps. Seemingly it is BJP vs BJP but behind the scenes there is a deeper game. Besides, the Prasar Bharati Chairman Surya Prakash is a veteran journalist, opposed the Emergency and in his own words, an opponent of ‘pseudo secularism’, as he said in a newspaper interview. He is also an appointee of the present government. Recently, Prasar Bharati led by its Chairman, has snubbed trespasses on its terrain by the Ministry of Information and Broadcasting. It refused to pay a fee of Rs.2.92 crore to a private firm, to which the National Film Development Corporation had outsourced live coverage of the opening and closing ceremonies of the International Film Festival of India, which falls under the ministry. Indeed, Doordarshan had the equipment and expertise to cover much bigger events like the Republic Day Parade, and there was no plausible reason to seek external aid and expect Prasar Bharati to pay for it. In a recent skirmish with the ministry, Prasar Bharati had blocked proposals for appointments and brushed aside a communication from the ministry calling for retrenchments of some employees. The cruelest cut was a ministry proposal to appoint a serving IAS officer as a full-time Board member through the Appointments Committee of the Cabinet. Clearly this infringes on Prasar Bharati’s autonomy. Simultaneously the ministry has also attempted to terminate the services of all contractual employees with immediate effect which again infringes autonomy. Sam Pitroda’s recommendations notwithstanding, an autonomous Prasar Bharati should be empowered to frame rules and regulations for its employees, without having to seek prior government approval. It is however well known that the government has no intention of even implementing the recommendations. Ministerial intervention in the functional autonomy of the Prasar Bharati board has always been a reality since Prasar Bharati was never made financially self-reliant. However, the government’s perspective is faulty. The ministry presumes that the Prasar Bharati board is not going to flourish on its own without government help, which often becomes conditional. Thus, the board has hardly any control on appointments, budgetary allocation and any such matter, making it impossible for it to enter the competitive arena. There are many provisions in the Prasar Bharati Act which are either not implemented or are diluted, if only to keep the board under the government’s control. For example, Section 18 of the Act mandates the board to have its own fund for its functions. It further states that part of this fund will come from the property and assets that the central government will transfer to the board. But successive governments have made no serious attempt to transfer these properties to the board. Rapid proliferation of the private television industry, after the historic Supreme Court judgment in 1995, created a media environment in which by vested interests thought Doordarshan and AIR were inadequate in the changing times. The idea of public service broadcasting was replaced with the idea of market-led TV media. It was unfortunate because the Supreme Court decision was fundamentally intended to constitute an autonomous broadcasting authority to license and regulate the use of airwaves. Bharatiya Janata Party’s sweeping victory in 2014 coincided with the spectacular growth of market-led visual media, and marginalizing of public service broadcasting. This, despite the fact that Prime Minister Narendra Modi himself addresses the nation once every month on AIR in his ‘Mann ki Baat’. Press conferences became zero and select leaks to select private TV channels zoomed. It was indeed a carrot and stick approach. Informed sources say periodically the ministry has been raising hue and cry. But since December, it has not released money for salaries, forcing a drawdown of contingency funds, complicating the situation further. The heated arguments in fact, at the February meeting between Prasar Bharati and the I&B ministry are a matter of record. While the appointments issue has gone on to a back-burner for now, the ministry’s insistence on DD paying a private company for the footage it provided from the International Film Festival of India (IFFI) held recently in Goa has led to rumblings even in Mandi House, Prasar Bharati’s headquarters. Even prestigious events are now taken away from the Doordarshan in the present dispensation. In fact, private companies have been hired and Doordarshan has to foot the bill. It is said that transfers are used as weapons. A memo by some employees has also reached the Prime Minister protesting against the transfers.A Doordarshan director was shuttled to publications division. 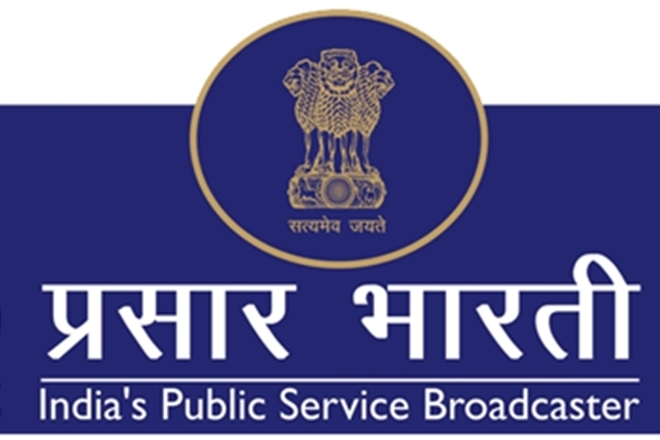 There is open talk that Prasar Bharati is packed with RSS personnel for quite some time whose loyalty is with the RSS and the PMO. Again, one of the main sources of DD’s revenue - the money it earns from its Free Dish satellite slot-auctions - has also been stopped by the minister for reasons not clear. This is to further make DD poorer. Soon after the government of Prime Minister Morarji Desai (popularly known as "Janata Party" government) took over political power in India in 1977, it announced three distinct steps towards restoring freedom of the Indian mass media. White Paper on Misuse of Mass Media indicated clearly that Indira Gandhi had abused All India Radio and Doordarshan (television) for blatant partisan and personal ends mainly in order to crush dissent and promote personality cults. In pursuance of its election promise to free broadcast media from official tutelage, the Janata Party government appointed a 12-member working group headed by B. G. Verghese, a famous journalist, in August of 1977. The working group submitted its report to the government in June of 1978. Indeed the wheel has turned full circle. Prasar Bharati is being made to bleed, exploited and terrorized too into submission. This is precisely what happened to Doordarshan and Aakashvani in the Emergency days. What is missing is the censorship. For the present it cannot be said what L K Advani then said of the press in general: "You were asked to bend but you began to crawl." In the Prasar Bharati some resistance is visible. Of course the last ditch fight is for the seat of Chairman Prasar Bharati. Side by side, in the current session of Parliament, support for saving Prasar Bharati and its employees from stifling government control and the whims and fancies of the I&B minister could be visible. Disclaimer: The views expressed here are the author's personal views, and do not necessarily represent the views of Newsclick. The electoral scenario in Delhi has become clearer, as all the three major political parties have declared their candidates for seven seats.